This program is free of charge, but you must register in advance. This training will prepare volunteers who wish to deliver AFSP programs (More Than Sad, Talk Saves Lives and It’s Real) to the public. Participants will learn about best practices in delivering our AFSP suicide prevention programs, tips for presenting, engaging the audience and being prepared to answer questions about common misconceptions and myths surrounding suicide. As a bonus to learning about AFSP programs, we will begin the day with a 3.5 hour safeTALK training. safeTALK is a half-day alertness training that prepares anyone 15 or older, regardless of prior experience or training, to become a suicide-alert helper. Most people with thoughts of suicide don’t truly want to die, but are struggling with the pain in their lives. Through their words and actions, they invite help to stay alive. safeTALK-trained helpers can recognize these invitations and take action by connecting them with life-saving intervention resources, such as caregivers trained in ASIST. Talk Saves Lives: An Introduction to Suicide Prevention: A community-based presentation that covers the general scope of suicide, what the research has found to be the warning signs and risk factors of suicide, and the strategies that prevent it. More Than Sad has taught over a million students and educators how to be smart about mental health. The program includes films, online facilitator guides and feedback forms. 1. High School Students: Teaches teens to recognize the signs of depression in themselves and others, challenges the stigma surrounding depression, and demystifies the treatment. 2. Parents: Teaches parents how to recognize signs of depression and other mental health problems, initiate a conversation about mental health with their child, and get help. 3. Teachers and other professionals working with youth/teens: Teaches educators to recognize signs of mental health distress in students and refer them for help. The program complies with the requirements for teacher professional development requirements for suicide prevention. By featuring real stories and experiences, It’s Real conveys that depression and other mental health conditions are real illnesses that can be managed through specific treatments and interventions. It encourages students to be mindful of the state of their mental health, to acknowledge and recognize when they are struggling, and to take steps to seek help. This 18-minute film is accompanied by facilitator’s tools and resources, including a Facilitator’s Guide containing talking points and additional information, and is intended as a group presentation. This is a full day training and lunch will be provided. If you previously attended the AFSP Program Facilitator training, you may attend the morning session of safeTALK only. Space is limited and you must RSVP to attend. Making a Memorial Gift to the Elliott Foundation is a wonderful way to honor the memory of a friend or loved one lost to suicide. 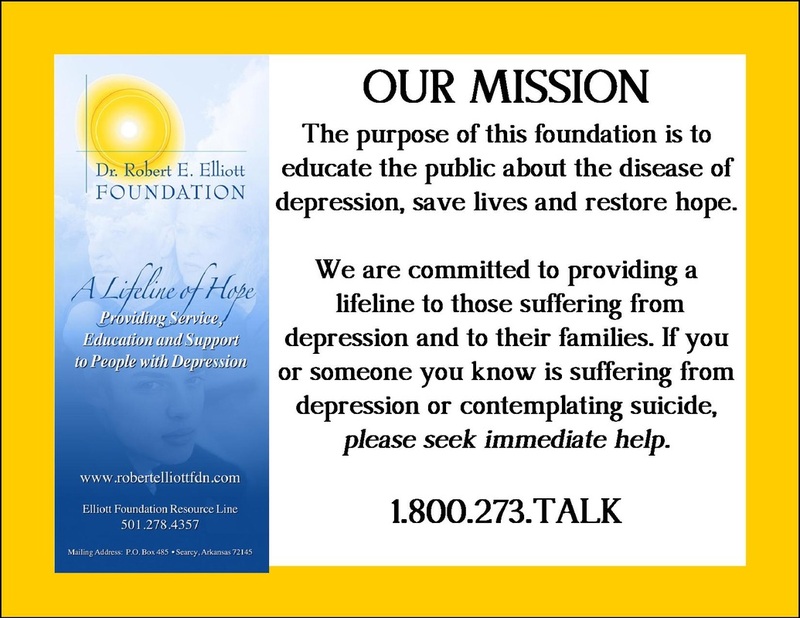 Your gift will be used to educate our community about the disease of depression, to implement suicide prevention programs and support monthly S.O.S. 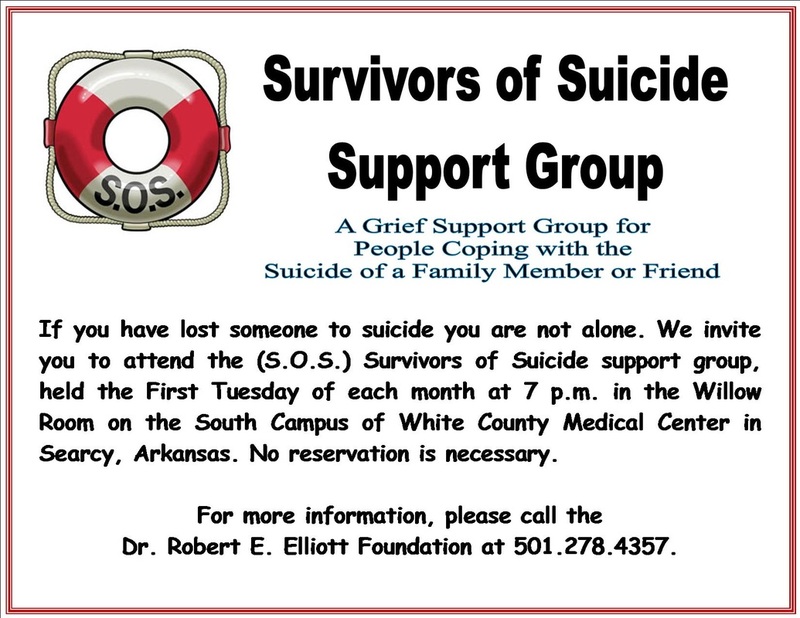 (Survivors of Suicide) Support Groups. 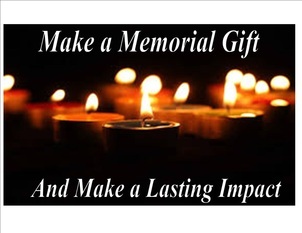 Memorial Gifts can be mailed to the Elliott Foundation at P.O. Box 485, Searcy, AR 72145 or by clicking the DONATE button below. For more information, call 501.278.4357. Your gift will have a lasting impact on those suffering from depression and to their families. The Traveling Poster Display is an educational resource which encourages positive dialogue about depression and suicide prevention. The display is available upon request, at no charge, for your group or organization. To schedule the display, contact the Elliott Foundation at 501.278.4357. Take the pledge and join the movement against bullying! Visit The Bully Project here to learn more.